Christmas is celebrated throughout the world – sometimes at the end of December, sometimes at the beginning of January. And everywhere, singing Christmas carols is part of the celebrations. 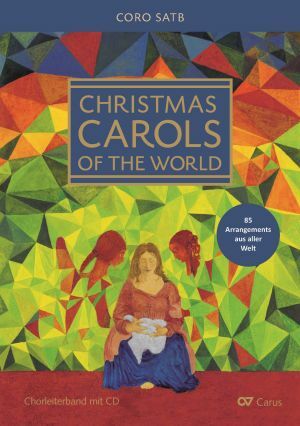 The new choral anthology Christmas carols of the world will enrich the Christmas repertoire for choirs, with lots of exciting choral arrangements in a selection of 85 international Christmas carols. It is edited by Volker Hempfling and contains arrangements by composers from 23 countries in their original languages, including John Rutter, John Høybye, Mark Sirett, Wolfram Buchenberg, Matti Hyökki and Fredo Jung. Take a look at the choral collection! Just in time, after the summer break, we have expanded carus music, the choir app, with a number of important repertoire works appropriate for the fall and winter seasons! 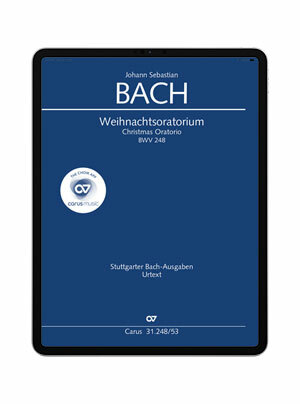 In the last few days we have added Bach's Christmas Oratorio, the B minor Mass, his St. John Passion, Mozart's Requiem and the Oratorio de Noël by Saint-Saëns. You can sample one movement from each work, free of charge! 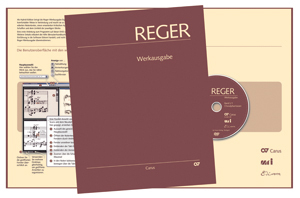 With the appearance of volume 7 of the organ works within the Reger Edition, edited by the Max Reger Institute Karlsruhe, the complete edition of Reger's works for organ is now concluded. This hybrid edition presents the works in a new format, combining the printed music with a digital examination of each and its historical sources. The dramatic story of the ancient Hebrew King Hezekiah, set in "Blues and Rock" by the composer Christoph Schönherr, was performed on tour throughout Germany and Italy by 250 young musicians in an English version to the acclaim of enthusiastic audiences. Since Carus was founded it has been important to us to make the editions in our music program audible to the public. New repertoire for CD recordings is often selected and developed in conjunction with editorial projects pursued by our publishing house. 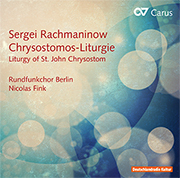 Presently, two new CDs featuring recordings of Carus editions with works by Lizst and Rachmaninoff were recently released. Nikolai Ott, a student who works in the New Media Department at Carus, has not only heard, sung and even conducted this, his favorite work himself, but he has also prepared all of the choral parts for carus music, the choir app. Meet us at Music China, 13.-17.10.2015. Emanuel Scobel, International Sales Manager at Carus, looks forward to meeting you there at booth no. W1 C39! PS: We are especially happy, that our CD production of Bach's B minor Mass has been mentioned for the second month in a row in the official German Classic Charts. Congratulations to Hans-Christoph Rademann for this exciting interpretation!